Master Craftsmanship - We have over 50 years experience perfecting our craft as heraldic seal engravers. Our craftsmen are skilled in both precious metal and gemstone, a rarity in the world today. Heraldic Expertise - Dexter are acknowledged as a leading authority on heraldry and heraldic law, particularly in relation to the ancient craft of heraldic seal engraving. Finest Quality Products - Die stamped rings for longevity, ensures a superior finish and that your engraving lasts a lifetime plus - more. 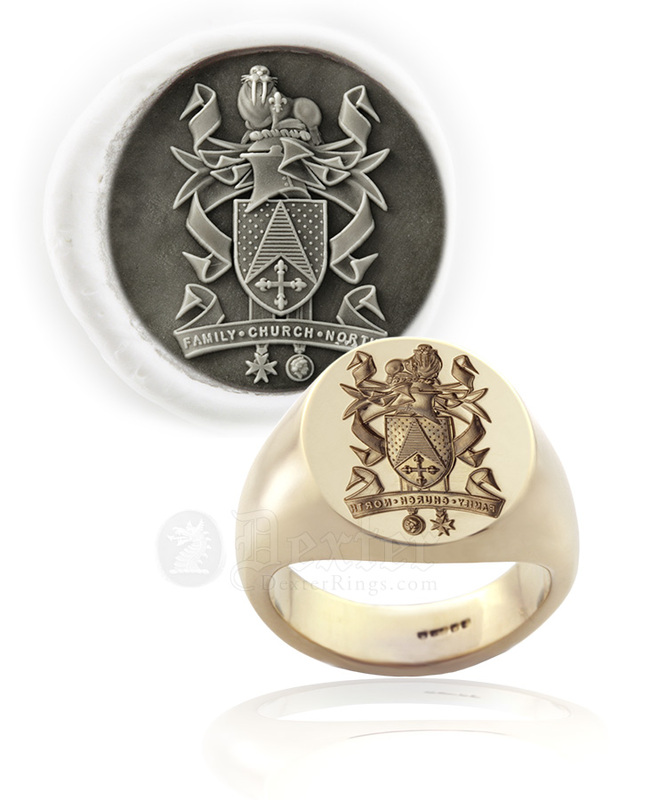 All our signet rings are hallmarked by the London Assay Office. All our ring sizes and weights are clearly explained on the site. Quality Of Service - Our very best attention is always assured both prior and post sales. 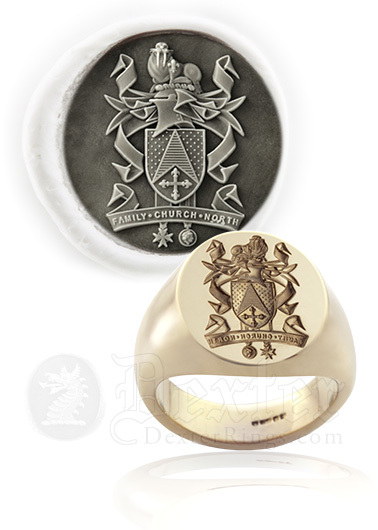 International Reputation - Dexter Signet Rings have become recognised as the choice for discerning clients and from Europe, USA and around the world, supplying heraldically engraved rings online for nearly 20 years.